Celebrating its 30th anniversary this year, the PPMA Show will return to the NEC Birmingham to showcase the latest innovations in smart manufacturing, processing technology and packaging machinery. New to the show this year will be the Enterprise Zone, which will offer visitors a focal point for learning, networking, discovery and live debate. Presenting the biggest and most comprehensive line-up of production technologies and solutions for the food and beverage, pharmaceutical, toiletries and FMCG sectors, visitors to the show will see 350 exhibitors representing 1,500 brands, all under one roof. Leading players already confirmed include Schneider Electric, Ishida Europe, Bosch, ABB and Omron Electronics UK, creating an unrivalled platform to connect, engage and network with suppliers and industry peers. 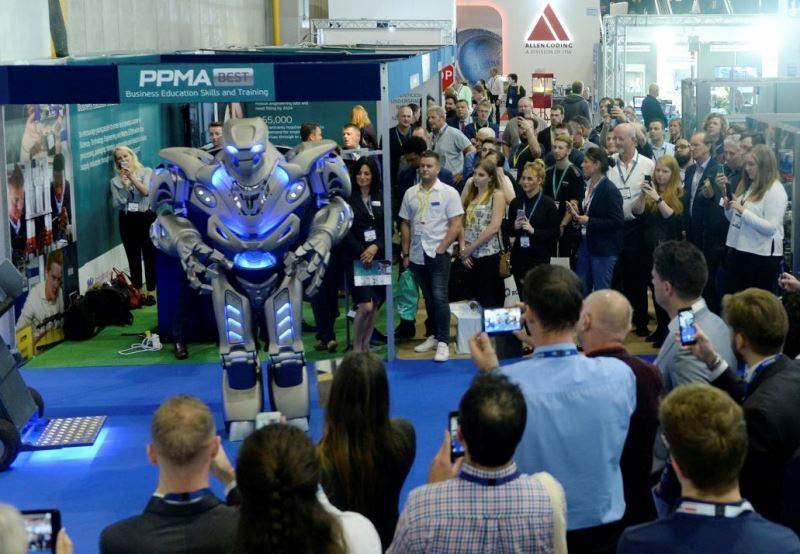 Dr Andrew Mint, CEO of PPMA Group of Associations, said: “Our 30th anniversary show comes at a time when UK manufacturing is enjoying its longest period of expansion since 1968 and these positive signs will undoubtedly boost confidence throughout our sector. The Enterprise Zone will include a series of educational features including live workshops, presentations, interactive discussions, question and answer sessions and panel debate covering key topical issues and industry trends. The keynote address will be delivered by Lord Mark Price, Minister of State for Trade and Investment who will bring his years of experience as Managing Director of Waitrose and Deputy Chairman of The John Lewis Partnership to the podium. The morning of day two will focus on ‘The Future of Food Manufacturing’ hosted by Craig Leadley of scientific, technical and advisory services organisation Campden BRI. With presentations from the National Centre for Food Manufacturing (NFCM), the Manufacturing Technology Centre (MTC), and Campden BRI, the session will cover robotics and automation, augmented reality and the virtual factory, as well as preservation technologies, food safety management and culture, and conclude with an interactive discussion. There will be a full speaker programme running throughout the show, delivered by a line-up of high profile and respected industry experts. Presentations and case studies will offer real examples of manufacturing best practice and excellence in processing and packaging production aimed to motivate and inspire visitors to increase efficiencies, explore new opportunities and take their businesses forward. Networking will also be a highlight of the Enterprise Zone, with dedicated meeting areas and organised activities to facilitate engagement and connection with industry peers. The Enterprise Zone will also feature a helpdesk and a free advice service for small start-up ventures and entrepreneurs as part of the PPMA’s new Start-up Ambassador Programme. Visitors will be matched and introduced to specialist knowledge experts according to specific requirements, who will be available during the show to offer advice, guidance and assistance. Also present in the zone will be the British Plastics Federation (BPF) to discuss its latest developments in materials and handling technology. Celebrating industry excellence and recognising innovation and smart manufacturing, the prestigious PPMA Group Industry Awards ceremony and three-course gala dinner will move to the Hilton Birmingham Metropole Hotel at the NEC. This year, the event, which will take place on the evening of the 25 September, the first day of the PPMA Show 2018, will be hosted by TV presenter and comedian Brian Conley and include two new award categories; ‘Customer Service’ and ‘PPMA Best’. Dr Mint added: “Having consulted with exhibitors and show visitors, we know that there is still a tremendous appetite to seek out new innovations, technologies and solutions and to discover the unexpected. Visit the PPMA Show website to register for your free badge.